As you may be aware Pokemon Go is all the rage in just about every city across the United States. The best thing about this video game is that it really is the first to get people outside and socially interacting with each other. 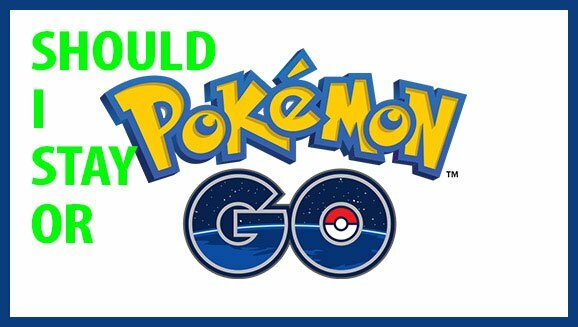 Below we will explore the upsides and downsides of Pokemon Go from a risk management perspective. Get ready. Just about every deficiency in your risk management and maintenance program is about to be exploited. If you are not familiar with Pokemon Go, this is a game that is played outside where gamers travel to different locations looking to take over territories and win battles. It can be played at any time of day or night and there aren’t any real physical boundaries when it comes to public properties. What does that mean for risk managers? With no real boundaries, people are walking over every square inch of your public properties. That means they will be on your sidewalks, pathways, fields and even in open spaces. Got gopher holes, cracks in sidewalks or other displacements (trip hazards) then you can expect that Go players are going to find them – accidentally that is. While Go players are focused on their screens while walking around, they are not paying attention to where their feet are traveling. Stories abound of people walking into traffic, falling off cliffs, falling over planters and all types of other objects. For cities and towns, your unprotected lakes; (worse yet) unsigned and unprotected waste water treatment facilities; and swimming pools just became drowning hazards. Illumination becomes a big factor and any lights that are not working will increase the chance that a person playing Pokemon Go at night may trip over something on your property. Crosswalk markings and other pathways need to be well signed and illuminated. With players wandering into streets, your employees who drive for business need to pay special attention and should be warned well in advance of entering areas such as these. Pokemon’s can be found in parking lots often resulting in a group of people standing around a car. This can lead to staff being startled or frightened when they enter the parking lot to go home for the evening. In addition, people are notorious for finding ways into closed buildings, tennis courts, pools, and any other fenced off area. Any gaps in your security will certainly be exploited and may be remembered at a later time for more devious adventures. There are many benefits of Pokemon Go. First, if you have an obesity problem at your site or in your city, you can certainly promote this game to get people out and about. You can encourage recreation activities to help build revenues and connect people in the community. You can entice visitors to your city to tour the city and find unexpected treasures around town helping to increase local business and sales taxes revenue streams. As a risk manager, you will discover the organizations vulnerabilities and be able to correct them before something more serious happens. Pokemon Go can be an asset to your organization, but you need to make sure that you are identifying the areas of concern and get your risk management programs in order. Previous Hey architects! Don’t forget the fall protection.